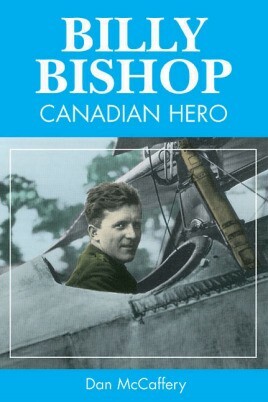 In this new edition of Billy Bishop: Canadian Hero, military aviation expert Dan McCaffery sets the record straight about one of this country's most famous and controversial figures. Billy Bishop was fiercely ambitious, driven by an undisguised hatred of his enemies. He played hard and fought even harder. A highly skilled pilot and a crack shot, "top gun" of the Allied air forces, by 1918 Bishop was the most highly decorated war hero in Canadian history. />He remains the most controversial. Some of Bishop's fellow pilots were repelled by his grandstanding and suspected he was deliberately inflating his number of "kills." Since then, the claim has been repeated by many others. This issue is at the heart of Billy Bishop: Canadian Hero. />In this updated second edition, author Dan McCaffery reviews the evidence in support his account of what Bishop really did in the skies over France, setting the record straight about one of this country's most famous and controversial figures.